It’s a little embarrassing to put this out there, but the fact is that we’re not great at following through. We have a great many dreams, a plethora of plans, an unlimited amount of ‘gonna do’s but when push comes to shove, we require a combination of the aforementioned pushing, shoving and a great many other forms of persuasion to actually take the plunge. So it was with the goat’s introduction to the Homestead. We’d organised the paddock space, bought the feed shed, felled the Yew, and read voluminous screeds on the life, times and how-to-do’s of goat tending but when The Farmer rung to say he was bringing Miss Nessie home with him THAT NIGHT we felt far from prepared. In short, our hand was forced. Since that fateful phone call nearly two years ago, we have learnt that this approach is actually a good thing. It’s taught us that, however much we do, we never feel prepared for any major happenings, that some stuff can only be learned by total immersion, and (most exciting of all) we are actually pretty dang inventive, adept at knocking something together with the obligatory binder-twine and long nails, to make do in the interim. 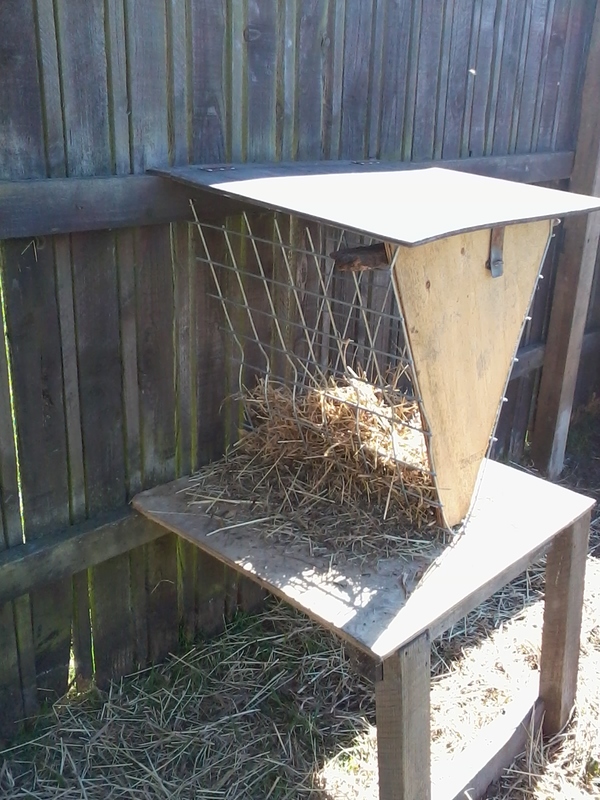 Take an old rabbit hutch,some left over chicken fence, a hand sawn hunk of plywood and, hey presto: a goat hay feeder! It’s a common belief that goats will eat anything. It’s probably their ecstatic munching through tree prunings, ivy, gorse, bramble, thistles and all manner of “rubbish” that gives this impression of an unfussy palate, but in truth they’re rather particular. One thing they need to keep their insides healthy is a steady supply of hay… loads of it… constantly; but once that hay hits the dirt, they’re not interested. As time passes, adaptations are made to our inventions – binder-twine is a much under-rated building material! Our ladies enthusiasm for sustenance coupled with their innate intelligence and nifty horn work kept us busy thinking up ways to keep the hay du jour dry and the feeder intact, all the while sure in the knowledge that the clock was ticking on our contraption.. Then, one day our resident Mechanical Engineer reached for her drawing board. The Union Homestead Hay Buffet! 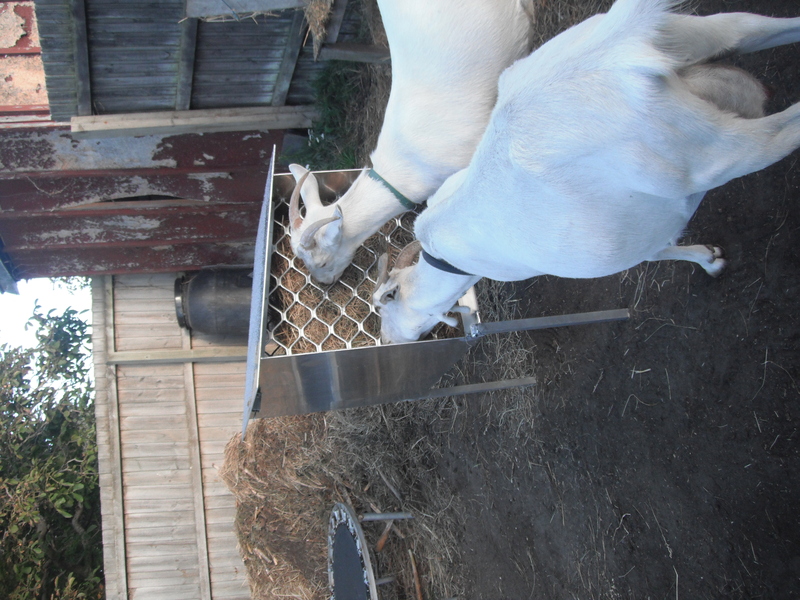 and, importantly, ensures that almost all the fodder ends up where its meant to – inside the goats. Yep, right now we’re feeling pretty pleased with ourselves. 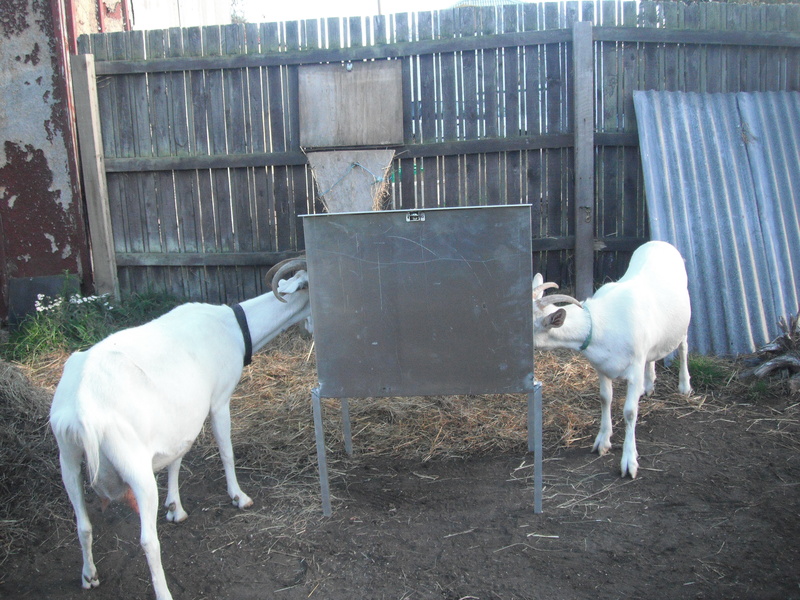 This entry was posted in Goats, Union Homestead and tagged animals, Aotearoa, Christchurch, design, drawings, engineering design, fabrication, feeding hay, Goat, goats, hay, Homestead, innovation, learning, mechanical engineer, New Brighton, New Zealand, observation, Otautahi, plan, plans, Union Homestead. Bookmark the permalink. Wow, what a thing of beauty and a stroke of genius! And so you should…feel pleased with yourself! That is a piece of modern design, classy and slick! Love it, even the goats look more stylish. It almost makes me forget, that a distant Dutch relative of theirs once ate a baby jacket when Young Mr. Walker was very young….I told the culprit that if she was not able to make the best cheese in the world, she would have been condemned to curry. The Goat madam in question just gave me a haughty look as if to say…”be glad I did not plunder the picknick basket as well”… I guess I am only suitable for dogs. 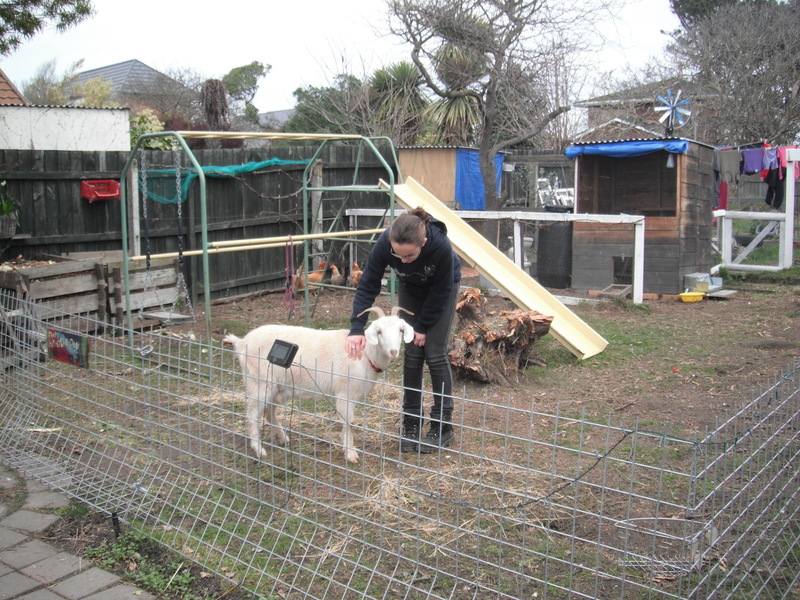 It is clear…New Zealand Goats are so much better behaved ( better raised, with proper manners, I suspect) I was deadly insulted that she choose handknitted garment over homebaked apple pie! 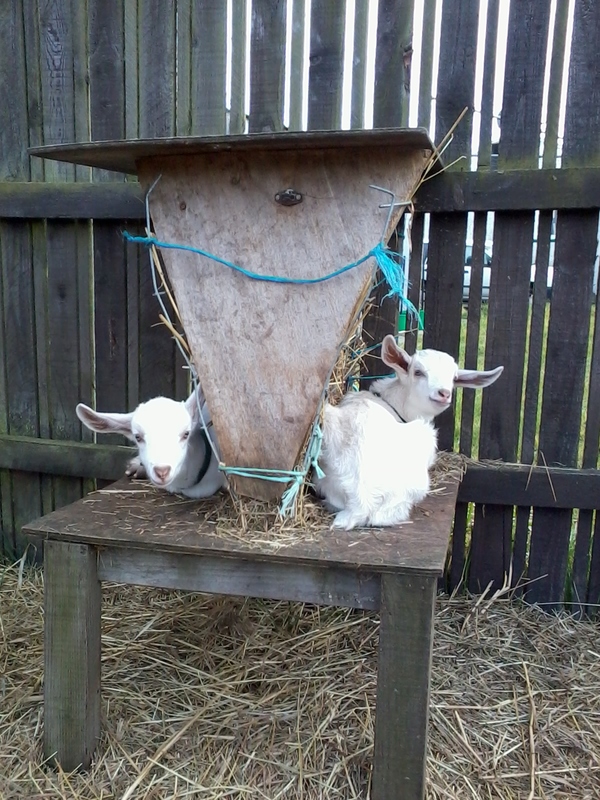 Yah, to the ever so stylish and well mannered Kiwi Goats! ps how is their cheese? RIP Terry P. So many pithy quotes and great reads from a man with huge intelligence and wit. Mechanical Engineer? 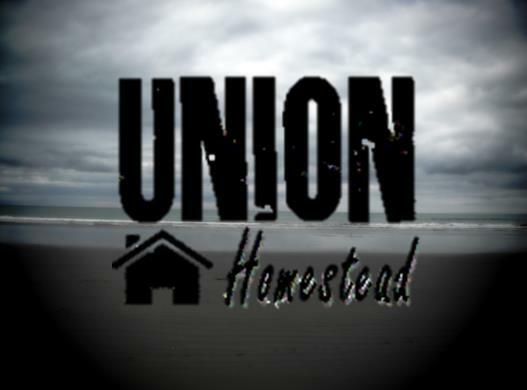 Is there no end to the variety of skills an talents that abound at Union Homestead? And isn’t it helpful to have friends like welders? Hay Guy is just such a multi talented sort of guy, and has fixed/cobbled together many things for us over the years. 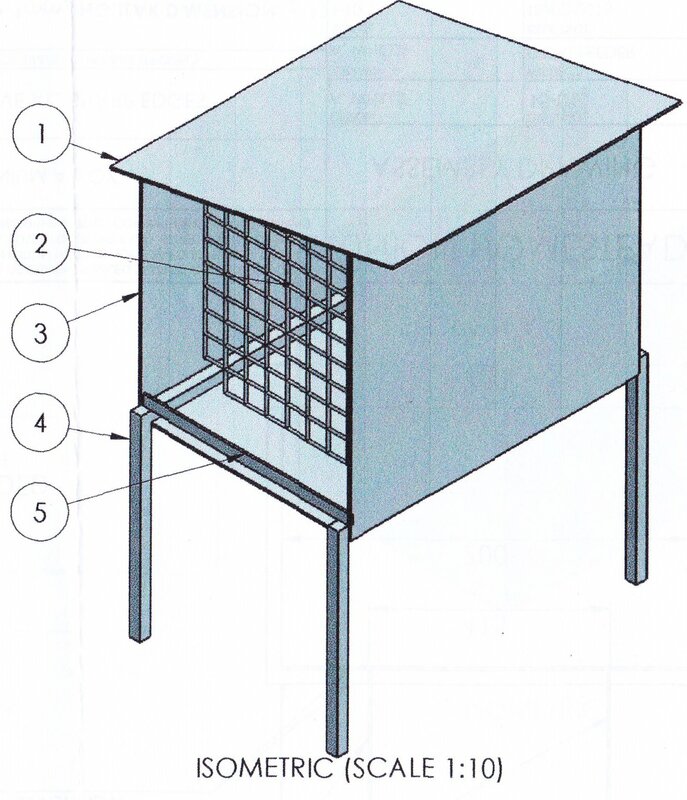 Your hay feeder looks great. Everyone needs a Hay Guy in their life! The Goat Herd is our resident Mechanical Engineer; all I can do is sit in wonder as she does calculations for things I have never heard of. Currently a car port is on the drawing board. Binder twine is used for everything round here too. The world would fall apart without it. As I was reading this I had to smile as we are picking up our first goat, with her 2 kids, next week and I really don’t think we will be ready. The fencing is done, gates need to be hung and the goat house constructed…… phew. Sometimes though it all just works out eh?